The Department of Education announced Wednesday the latest group of schools that will receive state money to create or expand dual language immersion programs, adding three new schools to five already existing grant-funded programs. 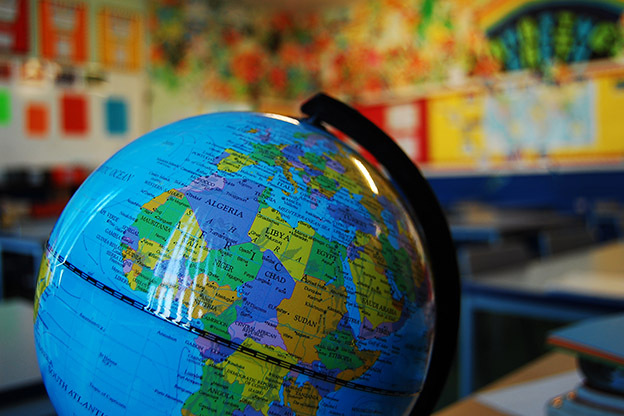 The goal of dual language immersion programs is to teach students to become bilingual by teaching 50 percent of their lessons in English and 50 percent in another language. These usually begin in kindergarten or first grade and ideally continue throughout elementary school. The 2015 General Assembly created the dual language immersion pilot program, allocating $1 million over two years for schools to create or expand a program. Batesville Primary School received one of the first grants last year and will enroll their first class of kindergartners in its Mandarin dual language immersion program this fall. Batesville Primary principal Heather Haunert says she spent the last year conducting research on successful Mandarin programs around the country. This included traveling to Seattle, Wash. and Portland, Ore. to see how Mandarin programs there were run. Haunert says her school chose Mandarin because of a few businesses in Batesville with Chinese connections, but also because they wanted to provide a unique experience for students in the overwhelmingly white school. “We’re just in such a small, tiny little pocket that it’s important for them to realize that there’s a big huge world out there and they need to have as many experiences as they can,” Haunert said. After a year of researching and planning their program, Haunert says it was exciting to receive money for another year, but they are also planning how to maintain the program after state funding runs out. They hope to have one dual language Mandarin class at grade level, through fifth grade. Waterford Elementary in Goshen Community Schools was one of three schools that received its first state dual language immersion program grant this week. It will launch a Spanish dual-language immersion program, and will follow a two-way immersion model. This means in addition to half of the instruction being in Spanish, half of the students will also be native Spanish speakers. Unlike Batesville, Goshen schools enroll more 51 percent Latino students, many of them speaking Spanish. Their program will not only help English speakers learn a new language, but native Spanish speakers maintain their original language while practicing English. Karen Blaha, Goshen English Language Learner director, said the fact that non-Latino families want their students to learn Spanish is encouraging. “When I hear those comments from families who are native English speakers, to me shows that there is an interest for the whole dual language with the Spanish and English,” Blaha said. Blaha says her district will spend this next year developing the curriculum for the program and preparing for its official launch in the 2017-2018 school year.